Sky Las Vegas is a 45 Story High Rise building located on Las Vegas Blvd (The Strip). It is a modern building with a contemporary feel. The first three floors of this building are for retail and business, one of them being the 24/7 CVS Pharmacy which residents have direct elevator access to. All entrances to the building are secure, including bottom floor lobby and key access as well as guard gated entry. Once past the guard residents have the option of parking in their private parking space or utilizing the complimentary valet service. Once inside, you are greeted by an attractive lobby with fresh floral arrangements updated daily as well as a friendly staff. 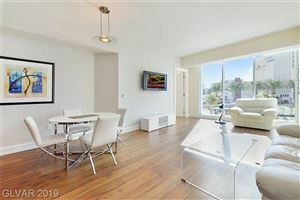 The beautiful marble floors, modern furnishings, and wi-fi access accent the overall theme of this modern building. See all Sky Las Vegas Condos for Sale. 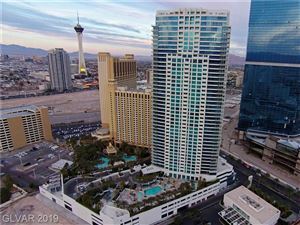 See all Sky Las Vegas Condos for Rent.